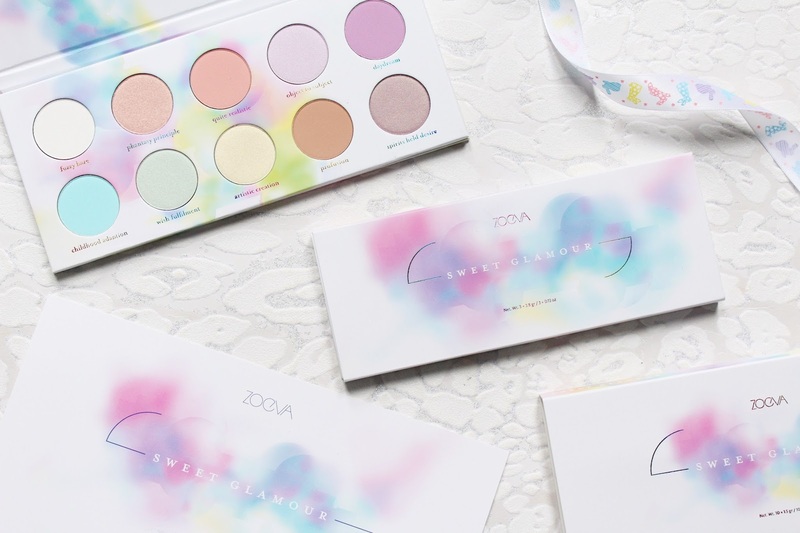 Zoeva are launching a gorgeous pastel collection next month that is the Sweet Glamour Collection and consists of two stunning palettes fit for any mermaid or unicorn lover. I have always neutral girl when it comes to makeup but I am loving playing around with these two beauties! I have always loved the Zoeva makeup products that they launch, the brushes are some of my favourites too. This collection includes a blush palette as well as a stunning eyeshadow palette. This collection is a tribute to the lightness of being and takes you to a place of no makeup boundaries. 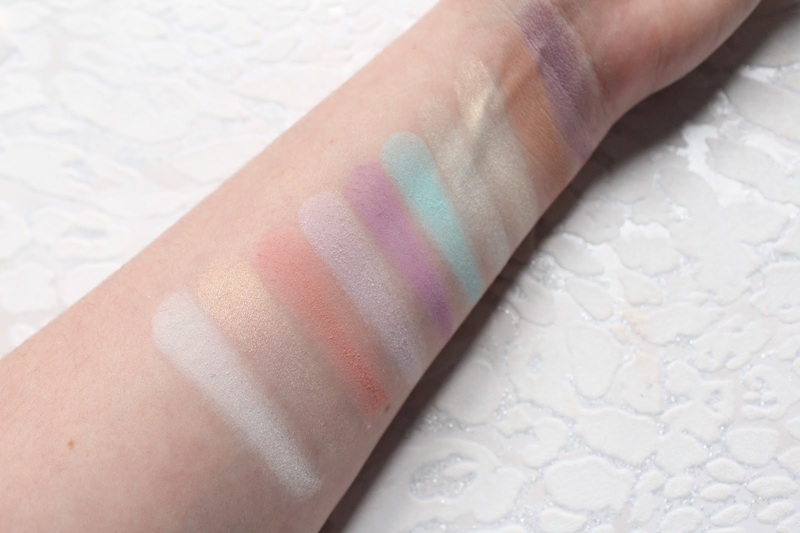 The eyeshadow palette includes magical pastel shades and the blush palette has been called an enchanting palette. I like to have eyeshadow palettes like Sweet Glamour palette to experiment with and I have actually been really enjoying the shades, especially on the lower lash line. 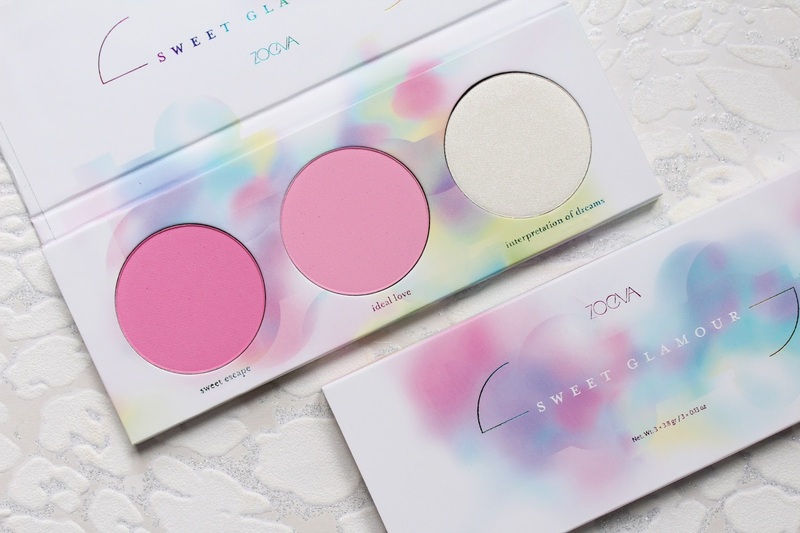 I love the packaging of this collection, both palettes are housed in durable and sturdy white cardboard palettes with pastel watercolour design on the front of the palette which continues inside the palette and on the back of the palette. Each of the palettes powders has been formulated with an easy to blend formula free from parabens, mineral oils, perfume and phthalates and have been enriched with vitamin E. They claim to each have superior pigmentation and have been made in Italty. The Sweet Glamour Blush Palette has two vivid pink blush shades and a gorgeous highlighter which reminds me a lot of Jeffree Star Ice Cold. All three of the powders in this palette are incredibly soft and apply effortlessly, I do like to use a light hand with the blushes as they have crazy colour pay off! The two blushes look very glowy on the cheeks and the shade Ideal Love has been my favourite this last week. The highlighter looks amazing with the two blush shades and adds a lumious yet intense glow to the cheekbones. I have found the blushes to be very long lasting on the skin and the highlighter does hang around for a fair few hours but I do like to top it up throughout the day! 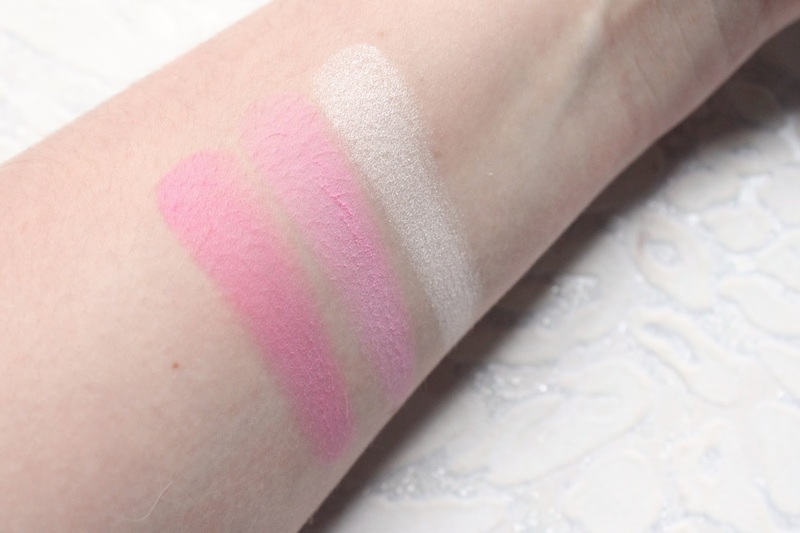 The blushes both have matte finishes and the highlighter has a pearly finish. The Sweet Glamour Eyeshadow Palette wasn't something I thought I would get much use out of but I have been using it quite a bit so far! This palette is packed full of pastel shades from sorbet hues of tender peach to a soft blue and mellow mint green. Although this palette isn't something I thought I would use everyday, there are a couple shades which I have been using for an every day makeup look! I like to use Phantasy Pineapple on the lid with Quite Realistic as a transition shade with profusion in the crease finished with fuzzy haze as a brow bone and inner corner highlight. All of the eyeshadows in this palette are super soft and blend and apply easily. 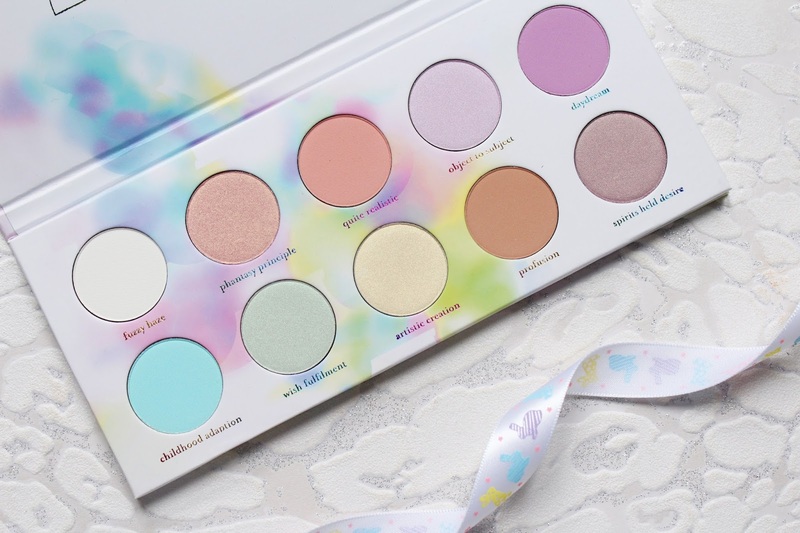 There is a good mixture of mattes and pearl finishes in this palette and you can create so many fun looks with it, perfect for Spring and Summer! I have also been liking doing a very simple eye look with some winged liner but then adding a pop of pastel along the lower lash line with either Childhood Adaption or Daydream. This collection launches on the 10th of April on the Zoeva website - HERE.